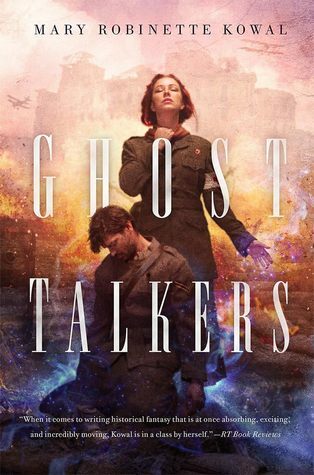 Today I picked up Ghost Talkers by Mary Robinette Kowal. It reimagines World War I if the British Army had a special spiritualist force known as the Spirit Corp. Ginger Stuyvesant is an American heiress, living in London, and also a medium for the Spirit Corp. Her job is to gather intelligence from recently deceased soldiers. Things take a climactic turn when a British soldier reports being killed by someone in British uniform and Ginger must uncover this spy from within the ranks. Stardate: 4261..uh..I'm two weeks in.